Hahn & Clay, established in 1908, is the United States' most versatile metal fabrication and machining facility in both skilled personnel and equipment capacity. We are an industry leader in shop and field manufacturing, repair, and maintenance of industrial equipment ranging from ASME code vessels to axial compressors. Hahn & Clay has facilities located in the Gulf Coast industrial areas, with over 250,000 sq. ft. under roof. 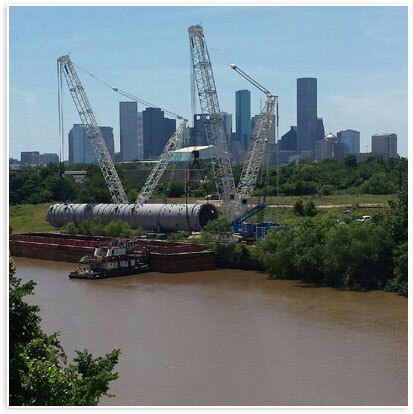 We have the capabilities to handle up to 35' - 6" in diameter, 200' lengths, and 800,000 lb. weight. We at Hahn & Clay are committed to providing our employees, customers, contractors and guests with a safe work environment. We strive to be a "World Class"organization by continuing to evaluate and practice Safety 24/7. We believe that all incidents are preventable.